For many years, our family and friends have enjoyed many things to do with kids at Put-in-Bay. Our annual Put-in-Bay vacation is part of every summer season. Occasionally, a point of discussion is about how kid-friendly Put-in-Bay is. Some people have heard the island is a party place and that’s all they have heard! Let me tell you first hand that if you have not visited Put-in-Bay with kids there is no place that compares! Yes, there is the main strip with the famous Put-in-Bay bars, but that’s just about anywhere. Move just a block off the main strip and the fun begins! We have compiled a list of the kids 15 favorite things to do with kids at Put-in-Bay (and some of them are ours as well) and be forwarned, you won’t want to try to do them all in a day! Any good trip starts with planning, and one resource that was very helpful was the Put-in-Bay information website. We found a detailed list of attractions, restaurants, and Put-in-Bay Hotels along with contact information for each. To get to Put-in-Bay you must take a ferry from either Port Clinton or Catawba and there are two options, but we prefer the Jet Express, perhaps because of the thought of riding on a “Jet Boat” is exciting but in reality, because it is the only ferry that comes in right downtown. It runs a later operating schedule so we have more flexibility in when we want to travel. The other ferry is a freight boat that arrived on the other side of the island and requires taking a taxi or bus into town. The ride over included an informational tour about the history of Put-in-Bay and the surrounding Bass Islands. We’ve always considered the ferry ride over a highlight to the trip! When you arrive at the island, you will first want to secure a Put-in-Bay Golf Cart Rental for the duration of your trip. We learned in our first trip not to rent from the first few places off the ferry as they charged over $20.00 a day more! Our favorite rental place is Delaware Put-in-Bay Golf Carts just across the street from the ferry dock by the park. 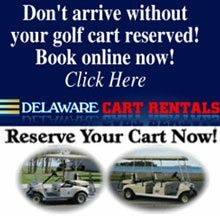 They accept Golf Cart Reservations online which is a smart thing to do given the limited number of golf carts; many places are often out. They are also one of the few locations on the island that rent overnight allowing you to keep the golf cart as long as you wish. Their carts are the newest on the island and priced below most other rentals. Downtown Put-in-Bay is where you will find most of the restaurants, bars, shops, and a few attractions. For some people, this is the majority of what they see at Put-in-Bay. Now that you have your wheels to get around, let’s get started with the top 15 things to do with kids at Put-in-Bay! Some of them are FREE and noted FREE OF CHARGE in the headline. As you depart with your golf cart you will see a large park in the center of town. Named after the founding father of Put-in-Bay Jose DeRivera, the park features playground areas for the children (one for larger and one for smaller kids) as well as public bathrooms. There are shower facilities and storage lockers in the center of the park. Scattered throughout the park are picnic tables and BBQ grills. The park is a popular place to cookout or enjoy a waterfront dining experience with takeout food from one of Put-in-Bay’s many restaurants. There is also a really cool tree carving of the park’s founder that stands over 30 feet tall! The Ohio State University in partnership with Ohio Department of Natural Resources operates the Put-in-Bay Aquatic Visitors Center located on the western side of the island; it was a fish hatchery that closed and became an educational facility in 1988. The center also includes the Ohio State University’s Stone Laboratory and is the universities only campus located on Lake Erie! When you visit the center, kids will learn about fishing in Ohio, research projects featuring Lake Erie, and children 16 and under are invited to fish from the docks free with equipment provided by the center. There are coloring sheets, wall puzzles, and other kids programs and activities. The Butterfly House at Put-in-Bay is one of several activities at Perry’s Cave Family Fun Center. Located a 5-minute golf cart ride up Catawba Avenue, the Butterfly House is home to hundreds of butterflies of almost as many species. Kids can view them up close, and it’s not uncommon for a few to land on you! A gift shop is located at the end of the tour with butterfly oriented souvenir gifts as well as educational materials. One of the challenges of a family vacation with kids is how to incorporate a little learning into the fun. The Perry’s Monument made that task easy with a narrated tour at the top of the massive Doric column towering over Lake Erie. An elevator whisks you up over 300 feet into the air for a breathtaking view! The kids were captivated by the reenactments of musket firing, and storytelling by the park actors. We could actually see the skyline of Detroit we were so high up! One of the things to do with kids at Put-in-Bay that they will talk about for days! Located at the end of Catawba Road, the South Bass Island State Park is one of two Put-in-Bay Campgrounds and is operated by the state of Ohio. There is a pebble beach the kids enjoyed while we tried our hand at skipping stones across the water. Over by the campgrounds, we saw the ruins of the swimming pool from the Victory Hotel built in the 1800’s which we learned was one of the United States largest hotels until it burnt to the ground. When you get tired of driving your golf cart around, turn the driving over to the Put-in-Bay Tour Train. You can join the tour train downtown at the Depot behind the village bakery. The tour train makes a loop around the island with 6 stops that allow you to get on and off at any of those locations. A well-narrated information tour provides information and little-known facts about Put-in-Bay History. The stops include Perry’s Cave Family Fun Center, Heinemann Winery & Crystal Cave, Perry’s Victory & International Peace Memorial & Visitor Center, The Doller House & Museum of Island Life, Lake Erie Islands Nature & Wildlife Center and the Aquatic Visitors Center. The trains run about every 30 minutes. Once a private collection of mounted wild animals, The Lake Erie Islands Nature & Wildlife Center is an educational experience where kids learn about many different species of wildlife and their habitats. A walking nature trail completes a circle around the center. Yes, there is a kid-friendly bar on the island the Candy Bar! Located on the main strip the Candy Bar also features an ice cream shop located in the back. In the front, loads of delicious homemade fudge is sold by the pound. Walking thru the store we saw nostalgic candies like Necco’s, Lemonheads and other favorites of our childhood! It was hard not to buy one of each! One of the most popular things to do with kids at Put-in-Bay! One of less than 100 known remaining Herschel carousels circa 1917 located downtown on the main strip. Kimberly’s Carousel is one of the last merry-go-rounds in operation in the country, and South Bass Island is proud to be its home! Ride on a pig, rooster, chicken, pig, rooster, cow Lake Eries “Pete the Perch” Tickets are sold inside The Carriage House Country Store. Put-in-Bay is blessed to have numerous walking trails in areas protected from development. These trails have been preserved in their natural state. The trails are varying in length and an easy walk. Trails are well marked and located thought the island with ample golf cart parking at the start of the trail. The trails are a favorite for Put-in-Bay Birdwatching and counts, an annual event. Located at the docks next to the Boardwalk Restaurant the Put-in-Bay parasailing adventure can be enjoyed tandem by parent and child or together. Ride high 1000 feet above the water for stunning views of the Put-in-Bay Harbor & Lake Erie basin. One of our favorite things to do with kids at Put-in-Bay because we get to have fun too! This small museum is loaded with island history and artifacts that will appeal to children and adults alike. A 15-minute video begins the tour. Learn how early settlers lived and built on the island before modern day aircraft and ferry boats. For those wanting to take home a piece of Put-in-Bay History, a resale shop is also located at the facility. This is one museum everyone wants a bite of! Learn the history of chocolate with informational exhibits and antiques from early years of chocolate production. The museums sells handmade chocolates, homemade ice cream and super thick milkshakes! Perry’s Cave is registered as a Natural Landmark in Ohio. The natural limestone cave is drenched in Put-in-Bay history and tradition. Sitting 52 feet below the surface of South Bass Island, it is 208 feet long, 165 wide and was discovered in 1813. The cave has impressive stalagmites and stalactites and walls covered in Cave Pearls. The temperature remains a consistent 50 degrees year round and the cave has an underground lake. Guided tours are offered along with a gift shop where cave related souvenirs are available. The cave is located at the Perry’s Family Fun Center. Of course, there are many more things to do with kids at Put-in-Bay, and many of our readers have submitted their can’t miss things to do at Put-in-Bay. What are your favorites?